ATM contains functionality that is common across all Human Rights Organisations. ATM will be initiated by considering the common requirement of organisations and would customised in due process of development from central administration to registered organisations to facilitate the exchange of information, develop reports and maintain own database with respect to registered atrocity cases. 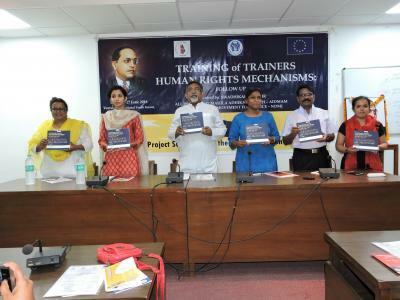 Human Rights Organisation working with Dalits and Tribals are engaged in various activities from fact finding reports, registration of cases under PoA, pursuing the case with police and administration, helping witness and victims for legal battle. Although, numerous agencies are working most of them face difficulty in accessing fact finding reports, retrieving the details of case, updating victim and witness with their trial, as they lack a system of data storage, sharing and access.